MnDOT is exploring the development of freeway “lids” at key locations on I-94 in the Twin Cities. To analyze the potential for private-sector investment and determine what steps might be needed to make lid projects a reality, MnDOT invited the Urban Land Institute (ULI) MN to conduct a Technical Assistance Panel with real estate experts and other specialists. The U’s Metropolitan Design Center (MDC) provided background and research for the panel. A lid, also known as a cap or land bridge, is a structure built over a freeway trench to connect areas on either side. Lids may also support green space and development above the roadway and along adjacent embankments. Although lidding is not a new concept, it is gaining national attention as a way to restore communities damaged when freeways were first built in the 1960s. According to MnDOT, roughly half of the 145 bridges on I-94 between the east side of Saint Paul and the north side of Minneapolis need work within the next 15 years. A shorter window applies in the area around the capitol to as far west as MN-280. In anticipation of the effort to rebuild so much infrastructure, the department wanted a deeper understanding of how attractive freeway lids and their surrounding areas would be to private developers and whether the investment they would attract would generate sufficient revenue to pay for them. The three-day panel session was designed to consider the I-94 corridor and study three specific areas: the I-35W/Minneapolis Central Business District, historic Rondo Avenue in Saint Paul, and Fairview Park in North Minneapolis. It also included a “lightning round” for high-level observations of five other sites. Mic Johnson, senior fellow with MDC, provided background about lidding and shared successful examples from around the country at the panel kick-off dinner. MDC has analyzed a wide range of freeway lid structures and identified seven basic lid typologies. “These typologies provide broad thematic guidance for thinking about what features best serve a location,” Johnson says. The briefing book provided to panelists included detailed research by MDC about the economic opportunities of the area’s freeway lids. MDC also created four appendices (projects, case studies, prototypical lid diagrams, and health and economic value) for the panel final report. MDC has been involved in lid-related activities for several years. Students participating in an Urban Design Studio course in fall 2013 taught by Johnson conducted an extensive analysis of the I-35W/Minneapolis area and created an architectural model of a lid connecting the U of M’s West Bank to Downtown East. Their model was displayed at the IDS Center. MnDOT Commissioner Charlie Zelle requested that ULI MN convene the panel as part of the larger “Rethinking I-94” project, which is developing a vision for the corridor through a comprehensive public involvement process. “Lid projects are one way being considered that could reconnect neighborhoods such as Rondo that were divided by freeways in the 1960s,” Zelle says. The Rondo neighborhood was also featured in the USDOT’s Every Place Counts Design Challenge in July. As part of its report to MnDOT, the panel concluded that private-sector development would not pay for the lids directly, but lids would create development interest that could generate significant long-term revenue to pay for lid maintenance, programming, and other amenities. To build momentum and create an identity for lid projects, the panel also recommended that the area’s lids be considered as a whole under a single banner, not as separate projects, as part of a rebranded vision called the Healthy Communities Initiative. 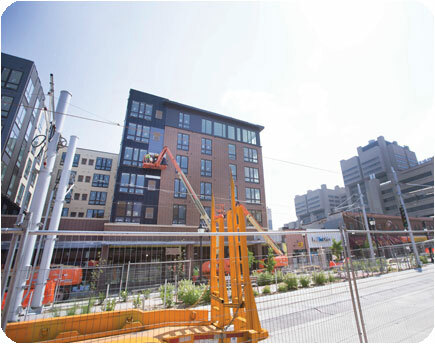 The final report is available on the ULI MN website. There’s broad agreement that the U.S. transportation system cannot continue to be funded with existing financing and revenue-generation methods. What’s unclear, however, is how to pay for highway projects in the future. The current transportation funding system emphasizes user fees, but there is growing interest in alternative funding strategies. One promising strategy is value capture, which aims to recover the value of benefits received by property owners and developers as a result of infrastructure improvements. In recent years, University of Minnesota researchers have helped lead the way in value capture research with a series of reports identifying value capture strategies. In a newly published study, the research team applied their previous work to a real-world scenario, with impressive results. The new research, sponsored by the Minnesota Department of Transportation, focused on the planned development of Trunk Highway 610 (TH 610) in Maple Grove, Minnesota—a stretch of planned state highway delayed for years by state transportation funding shortages. Researchers set out to discover how the value of the enhanced accessibility provided by the planned improvements could be predicted and captured to help fund the project’s completion. To accomplish their goal, researchers first defined a study area of about 10 square miles surrounding the unfinished highway segment. Then, they modeled property values based on five factors using parcel-level data. This model was designed to isolate the so-called “highway premium” by controlling for other factors that affect land value including water views, open space, railroads, transit stops, and existing highway exits. Using this model, researchers found significant evidence that the completion of the highway could lead to an over $17 million increase in property value. Researchers expect these findings to have significant benefits for the TH 610 project and beyond. Read the full article in the March issue of Catalyst. Photo courtesy of SRF Consulting Group, Inc.
New streetcar lines are in the planning stages in Minneapolis and St. Paul. Proponents cite not only the lines’ ability to strengthen the transit system, but also their potential as catalysts for development. Estimating the impacts of streetcars is challenging, however, as most U.S. lines operate in downtown areas with many interrelated factors at play. A recent U of M research project examined the issue through the prism of one city’s experience: post-Katrina New Orleans. The team—research fellow Andrew Guthrie and Assistant Professor Yingling Fan of the Humphrey School of Public Affairs—analyzed building permits near streetcar stops in the downtown business district and in several urban neighborhoods. 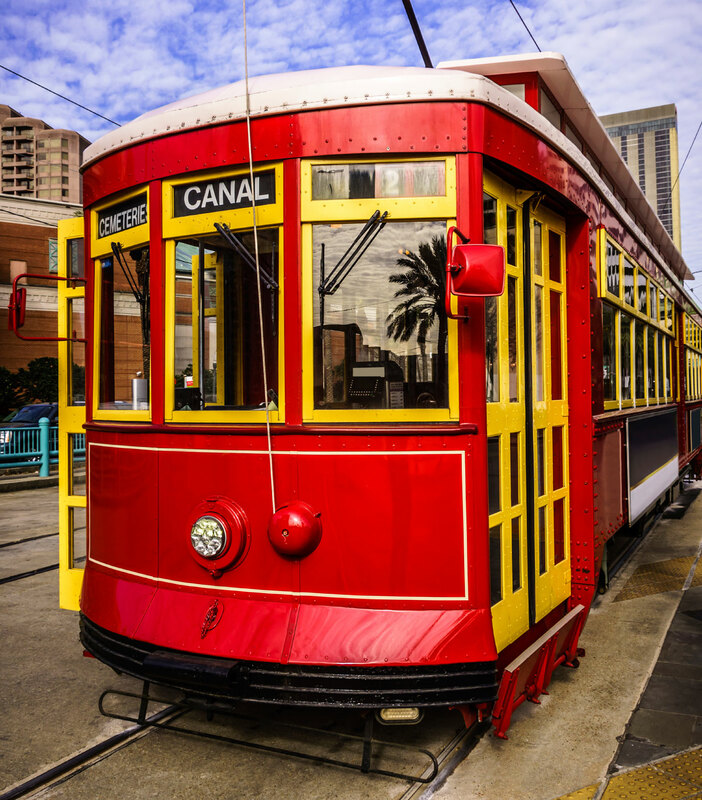 The researchers estimated how the frequency of commercial and residential permits changed with distance from streetcar stops, controlling for hurricane damage, proximity to existing commercial areas, and pre-Katrina demographics. in opposite directions within the first 750 feet. Commercial permits declined the further away the location was from a stop. In residential areas, commercial permits show variation depending on neighborhood characteristics. The number of neighborhood residential permits rose about 24 percent with every 100 feet from a stop. a fundamentally different fashion than light rail. A new research study is recommending ways to make it easier for developers and employers to select sites that encourage living-wage jobs and mixed-income housing near transit. A key finding of the study, which was based on interviews with developers and business leaders, revealed a pent-up demand for transit access in the Twin Cities metropolitan region. A team led by University of Minnesota researchers Yingling Fan and Andrew Guthrie found that providing a great work location is critical for employers in recruiting highly skilled young professionals who are likely to desire—or demand—urban living and access to transit. They also found that multifamily residential developers, redevelopment specialists, and large corporate office tenants have a strong interest in transit-accessible sites, but regulatory barriers, cost issues, and uncertainty surrounding future development of transit often discourage both developers and businesses from selecting such sites.